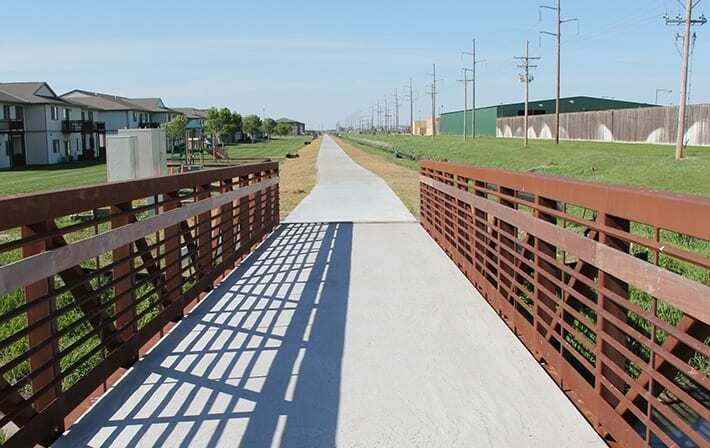 This project is an important connector trail which provided a contiguous trail totaling 3.8 miles in northwest Grand Island. 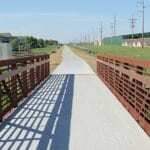 The trail helps promote healthful lifestyles, as well as provide safe transportation for bicyclists and pedestrians. 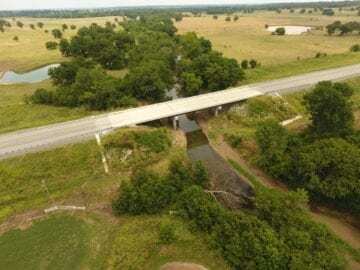 It consists of concrete pavement for a total length of 3,200 feet and is located in an extremely level area so designing special ditches and strategically placed inlets was critical to reduce future maintenance along the trail. 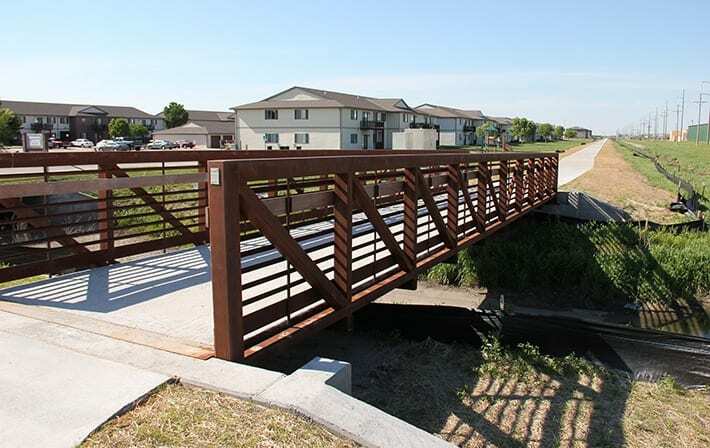 The project also included a 60-foot long pedestrian bridge to cross a drainage ditch. 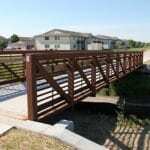 The bridge was constructed with a weathering steel, low maintenance manufactured truss. 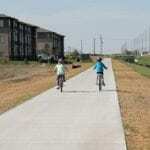 The Grand Island Connector Trail project was funded with federal Transportation Enhancement (TE) program funding administered through the Nebraska Department of Roads (NDOR). 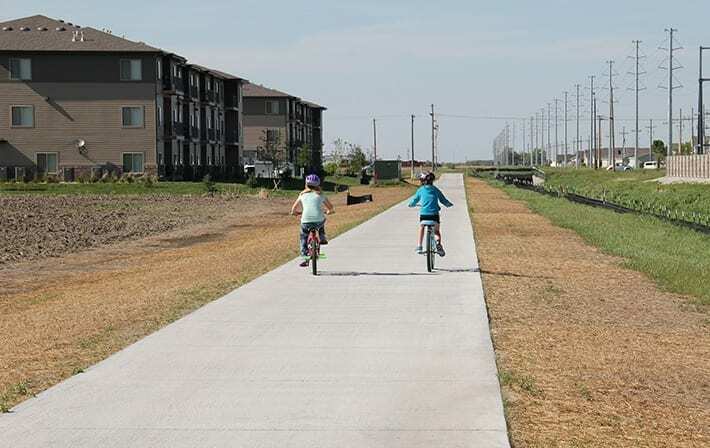 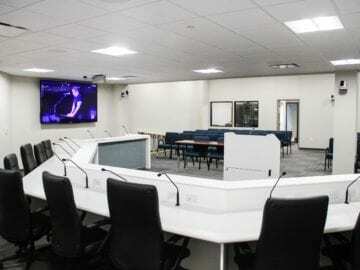 Therefore, consistent coordination and clear communication was required with multiple agencies during the project including the City of Grand Island, NDOR and the Federal Highway Administration. 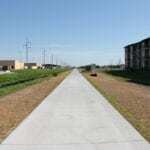 Due to the funding source, the project required compliance with the National Environmental Policy Act (NEPA). 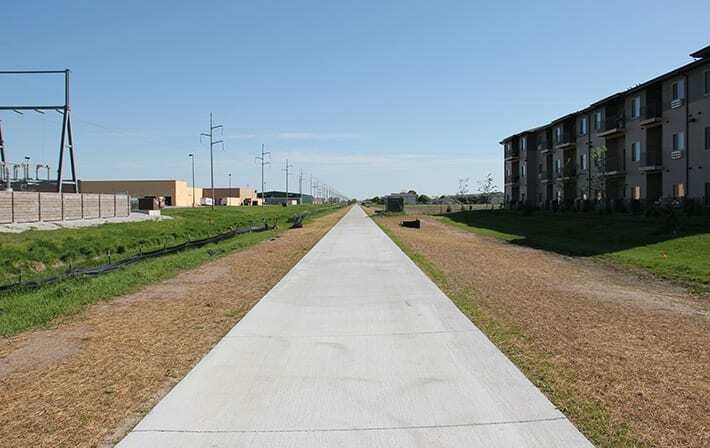 The specific environmental resources found within the project corridor included wetlands and section 4(f) properties (existing trail). 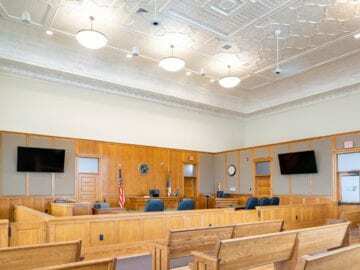 A review of impacts to these and other environmental resources was conducted and a categorical exclusion decision was received.